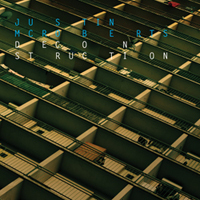 I like following musicians that might not be widely known and some years ago I started listening to Justin McRoberts and I have followed his music since I first heard him. I’m not sure if he is widely known, or not, but he should be! Today I was on iTunes and I noticed his new alblum Deconstruction just released. Good stuff. I really enjoy it. You should check it out. But after I listened to it, his other albums I own started playing in my iTunes player as I worked, and I found myself singing them out loud. Much to the chagrin of my roommate, Ernie. One of the songs, Holy Ground nearly brought me to tears as I listened and sang it out loud. I thought I would share it with you! Here are the lyrics! Every single moment that we share, every bush is burning.